Hundreds of boaters are converting to electric propulsion each year…should you? Improved maneuverability – High torque at low RPM makes maneuvering at low speeds and in tight spaces more precise. With an electric motor it is possible to go from full ahead to full back instantaneously. 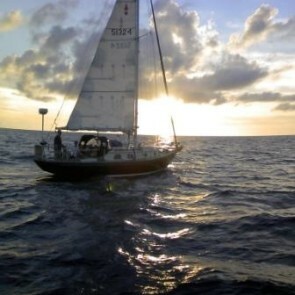 Check out this conversion story from Sail Magazine. Representing the manufacturers featured below, OceanPlanet Energy will find a system that will work for your boat and for your desired use. Based in Golden Valley, MN, Electric Yacht has been providing yachts with high-quality shaft drive electric propulsion systems since 2006. Click here for more information about Electric Yacht products. Or, you can check out the Electric Yacht website. Founded in 2005, Torqeedo has been a pioneer in the field of water-based electromobility. Torqeedo has set many standards in the industry and has continued to innovate over the past decade. Torqeedo recently won the 2016 DAME award at the METS trade show for their new Pod Drive Series. Click here for more info.